I refuse to spend my Friday nights in a chain pub with a dirty soft play paying over the odds for microwaved food just because we have 3 children. 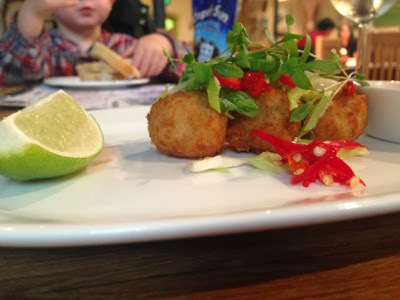 We are big foodies (as you might have gathered) and generally now we just take the kids along whenever we eat out. 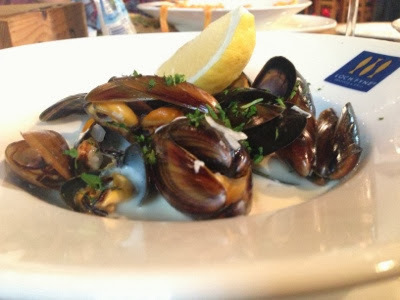 We have paid Loch Fyne in Gosforth a visit a few times before, either for breakfast or lunch and always enjoyed it. When I noticed their set menu (3 courses inc 1 side for £12.45) was available on Friday nights until 7pm, I booked us a table. 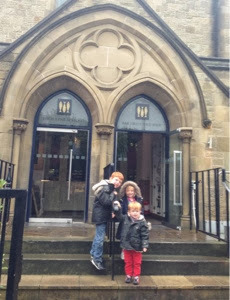 Loch Fyne is a converted church that specialises in seafood and is lovely both inside and out. There is a large bar area, open plan kitchen, seafood counter, large dining room and mezzanine level. First impressions were really good - atmosphere was light and airy, children were given the obligatory crayons and colouring sheet and our drinks orders were taken straight away. I did comment to my husband that it was strange that we were only one of two tables in the whole place at 5pm on a Friday night - if you went up the road to scalinis, you would struggle to find a table at this time. 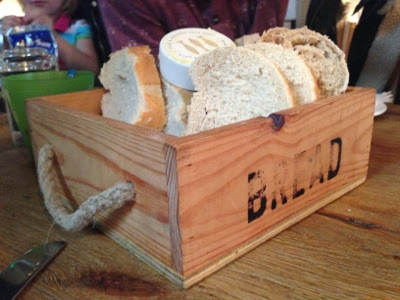 We ordered a bread board for the children (£1.95) which was freshly carved by the waitress and plentiful (3 slices per person). The butter was also at room temperature which always gets a tick in my book. From the set menu I ordered the crab cakes. They were really delicious with a perfect balance of flavours. 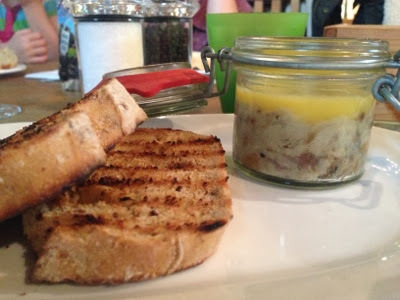 My husband ordered the potted mackerel, also from the set menu which was also a big hit. Extra kudos for the waitress asking if we wanted our children's meals brought with our starters or main. One waitress brought a finger bowl out for my mussels and then somebody else tried to take it away (before I had even set eyes on my mussels). Then our main courses were brought out but they didn't bring any cutlery. My mussels were sent out with both fries and hand cut chips? Everything just felt so un-organised. 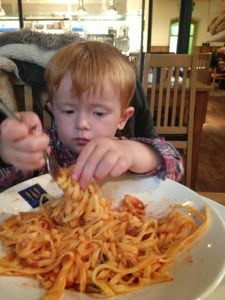 All 3 children had a huge portion of pasta. 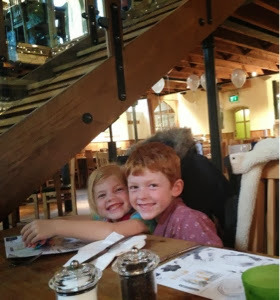 The children's meal is £6 for a main course and ice cream - with drinks charged as an extra. So at £7+ this is double the cost of an under 5's meal at prezzo (plus you would get an extra course!) Not great value, but still nice. Then more chaotic service ensued - a waitress started to clear our table but seemed to have too many tables to deal with at once as she seemed easily distracted. She cleared one of our plates away - took another tables order. Then cleared another of our plates away - then cleared part of another table. Then cleared another of our plates away..... You get the picture! I have never experienced anything like it. It must have taken her 25 minutes to clear our table from start to finish. Not good. We ordered desserts when she cleared out last plate. Bearing in mind the wait we had already encountered - the wait for our desserts seemed to take forever! This is not ideal when you are out in the early evening with 3 small children! Eventually our waitress reported that there was a problem with our creme brûlée as the blowtorch had broken so they had to cook them under the grill! When they did eventually arrive they were very disappointing and had the texture of a custard tart. We asked for the bill. It did not arrive. When we had finished, our bill still had not appeared so I went to the bar to pay. They tried to overcharge us £30! Once they sorted our bill out, I was pleased that is was only £53. 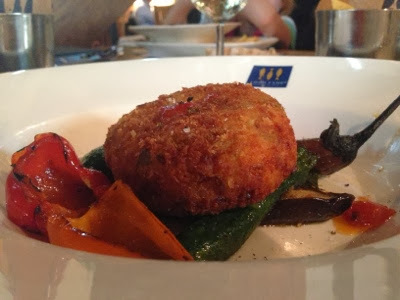 £53 for 3 courses for 5 people including wine is excellent value. I won't be returning though and think there is a clear reason loch fyne was so quiet. When we visit a restaurant service is very important to us. We like to feel looked after and that the restaurant actually welcome us. We do not want to be ignored and left to feel as a waitress's after thought! Especially when we are paying £50+ for the privilege. Hmm I don't know if this is an offshoot of the Loch Fyne Oyster Bar just outside Glasgow. If not I apologise for the following post. Some 20 years ago I lived in Glasgow. It was Burns Night and we had some friends around for supper, We were buying flowers from Roots and Shoots on the Great Western Road and succumbed to a few oysters, from Loch Fyne from the fishmonger next doorl. The husband and I had half a dozen between us for lunch and saved the rest for dinner that night. One guest said no. Around midnight my husband erupted, I followed suit about 30 minutes later. Other than contracting dysentery in Africa I have never been so ill. I have never been so unable to move from my bed to the loo. Actually dysentery was less unpleasant. Precisely six hours (ie the people who didn't have the oyster for lunch) the rest of the dinner party went down in a similarly gruesome manner. Except for the one bloke who chose not to have oysters. A week later, when we could walk again we went to the fishmongers to let them know of the problem. We had no grouse personall, you choose to eat oysters you take the risk, but we thought it prudent to warn them. We were shown the door. They denied any link between the oysters and us. Despite the fact that husband and I who had oysters for lunch, went down six hours before everyone else and the chap wh had no oysters was fine. Fast forward six months. Friend staying from Paris. Said friend very keen to go to Loch Fyne. He choses sea food plattter. We warn him. He says no, I'm going for it. He just made it to the loo on his return flight to Paris. I think all of the loch fyne's are affiliated. That is terrible to hear that such a big company could just dismiss you like that. I'm pleased we didn't order the oysters!